« Aracom PRX150-DAG Video is out!!! 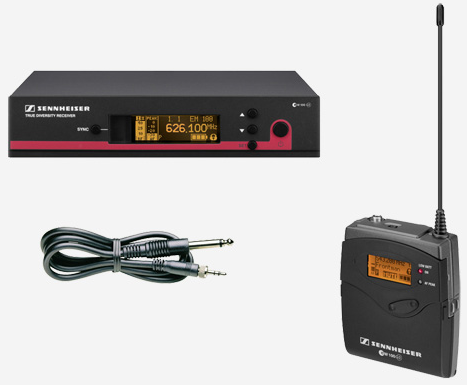 Thanks for the review, as a bass player i’ve been looking for a wireless unit and the name sennheiser always seems to pop up in conversation with my muso friends. I’ve been playing bass for 15 years and have been a staunch instrument cable user and shunned wireless systems due to hearing more negative feedback about them than positive, probably due to the lack of technology back then in the early years which now has evolved. The most that concerned me about wireless systems was loss of tone, i use two basses in live performances, a Sterling 2008 and a Saber 1983 both Musicman basses and both equipped with two double humbuckers and as a bassman for a reggae band i demand alot of lower end in my tone. My rig is a Mesa Boogie Pulse 650 with two 4×10 cabs and a Beringher rack tuner. I tend to move around on stage alot and the restrictions of a cable can be quite annoying especially when one gets caught or hooked up on microphone stands or tangled around objects like monitors. This wireless system looks to be promising as its also ideal for bass instruments.